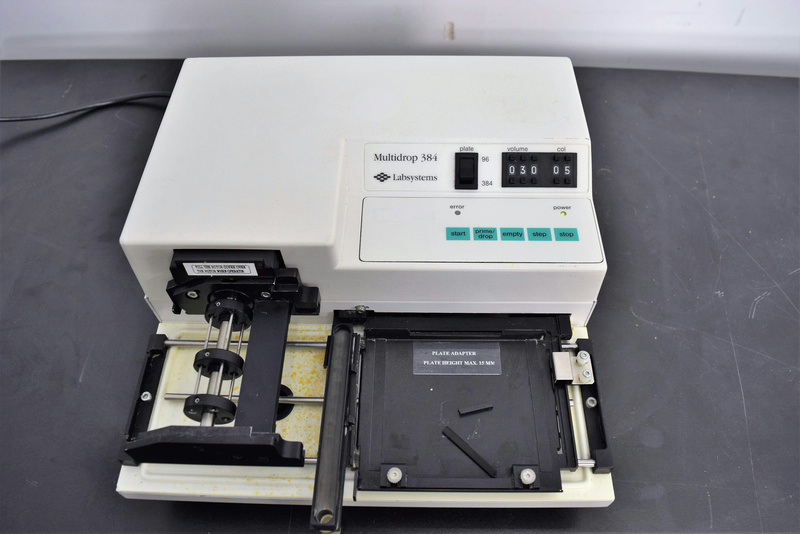 Labsystems Multidrop 384 Type 832 Reagent Dispenser Liquid Handler Sample Prep . New Life Scientific, Inc. This unit is used for rapid filling of 96-well and 384-well microplates. This unit could either be rebuilt or used as parts to fix a unit you already have. The clips that hold the priming vessel in place are broken and the middle transfer rail has a broken screw so one end of it is loose and flapping around. The motors and sensors all work though. Our on-site New Life Scientific technicians inspected and tried to initialize this unit, but some of the key equipment parts are broke, therefore selling as parts or for a rebuild.